compensation provides the injured worker with medical expenses and wage replacement regardless of fault so long as the injury sustained is work-related. If you have been injured on the job in the state of New York, you may want to consider filing a workers compensation claim; there are several important things which you should know when considering filing your workers compensation claim. 1) You must notify your employer that you sustained injury on the job within thirty days of the occurrence of the injury. This notice should be in writing, detailing the accident which the employee experienced. 2) If you have been the victim of a work related accident or injury, it is important to seek medical care immediately to receive proper treatment and documentation of your injuries. It may be difficult to prove the extent of your injuries without medical evidence, and the workers compensation insurance company may deny your claim. Furthermore, you should keep a record of all medical expenses which you incur as you can seek reimbursement for these expenses as part of your workers compensation claim. 3) You must file a claim with the Workers Compensation Board of the state of New York. Giving your employer notice does not absolve you of the duty to file the claim for workers compensation. 4) The amount of compensation for lost wages which you can receive through workers compensation benefits varies; however, it generally depends on your average weekly wage, and degree to which you were disabled. Any wages which you earn while collecting workers compensation benefits must be reported to the workers compensation insurance company in a timely manner. If you do earn wages after your accident, you may still be eligible for workers compensation benefits for reduced earnings, the amount of which can be as much as two-thirds of the difference between your current and past wages. If is important to note that the compensation for lost wages is in addition to medical expenses and, therefore, is not the total maximum compensation which an injury worker can receive for his or her injuries. 5) You should seek the counsel of a knowledgeable and skilled personal injury attorney in New York to advocate for you with regard to adjudication of your workers compensation claim. You do not have to pay any attorney fees unless you prevail on your workers compensation claim. Furthermore, the amount of the attorney’s fees is determined by the workers compensation board. Moreover, the fee is deducted directly from the workers compensation award amount leaving you with no out of pocket expenses. An attorney can also advise you about the viability of any third parties liability claims which may be present. Even though workers compensation laws generally prevents you from filing a lawsuit against your employer in the absence of special circumstances such as safety code violations, third party liability claims are not barred by workers compensation laws. Manufacturers of defective equipment and others can be held liable enabling you to maximize recovery for your injuries. 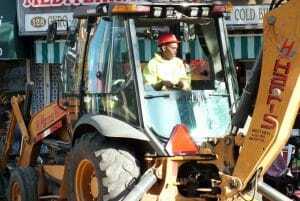 If you or someone you know has been the victim of a work related accident or injury, it may be in your best interest to consult an experienced New York personal injury attorney to discuss the benefits of representation throughout your workers’ compensation claim and any third party claims which may be applicable to maximize recovery for your injuries. Pulvers, Pulvers & Thompson has been serving New York State including all five boroughs, Nassau, Suffolk and Westchester counties for more than 70 years. 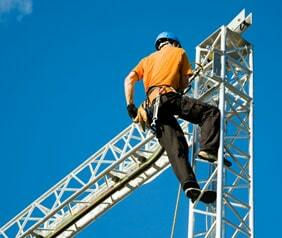 Contact us today for your free workers compensation consultation.